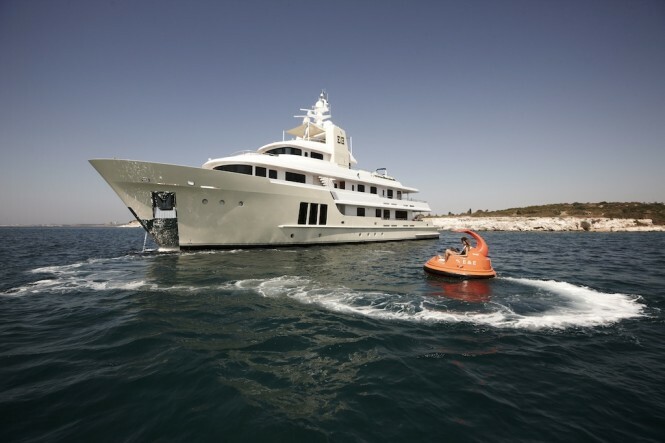 The Expedition Superyacht E &E (ex Jasmin II) is a 42 m explorer yacht delivered in 2011 by Cizgi Yachts, Turkey. 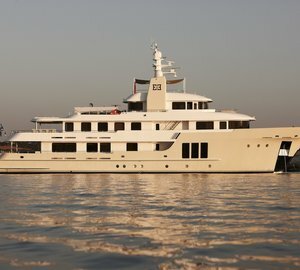 The brand new motor yacht E & E is on display at this year’s Monaco Yacht Show and will be available for charter during the Caribbean winter. 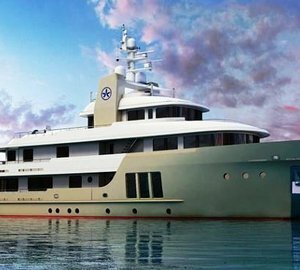 The explorer yacht E&E was designed by well-known Vripack International Naval Architects with naval architecture by Endaze Engineering. 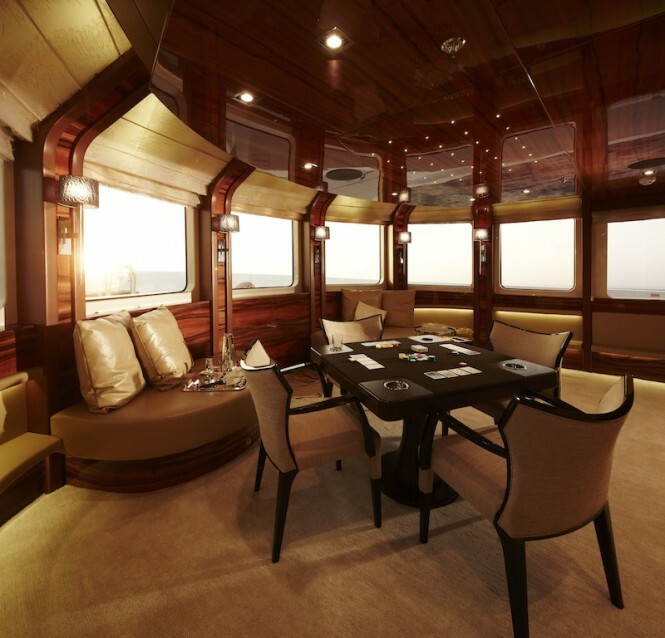 Her luxurious interior was designed by the renowned Art Line Studios interior design company. 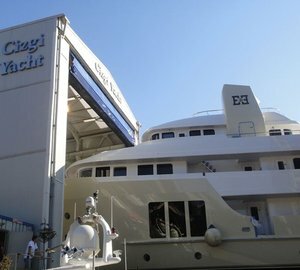 Art-Line interiors have released the following information regarding yacht E & E’s interior design at the Monaco Yacht Show. “We were very pleased with the opportunity to design the interior for E&E and we are even more pleased with the result. 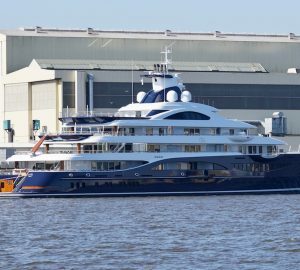 To design the interior for this yacht with an unusual lay-out and with a different use of deck space has been a great challenge. To us design must represent an ideal balance between function and emotion. Together with a great team involved we were able to achieve this ideal. 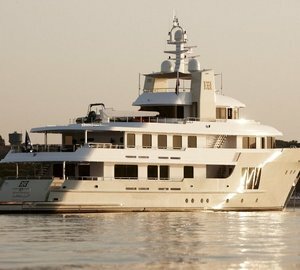 Again we are able to add to our portfolio a yacht with a new and different concept Therefore we say thanks to the owner and all those people who work so hard to build this beautiful yacht. To connect the 2 guest decks, we designed a central located staircase which will give almost a complete view thru-out both decks. 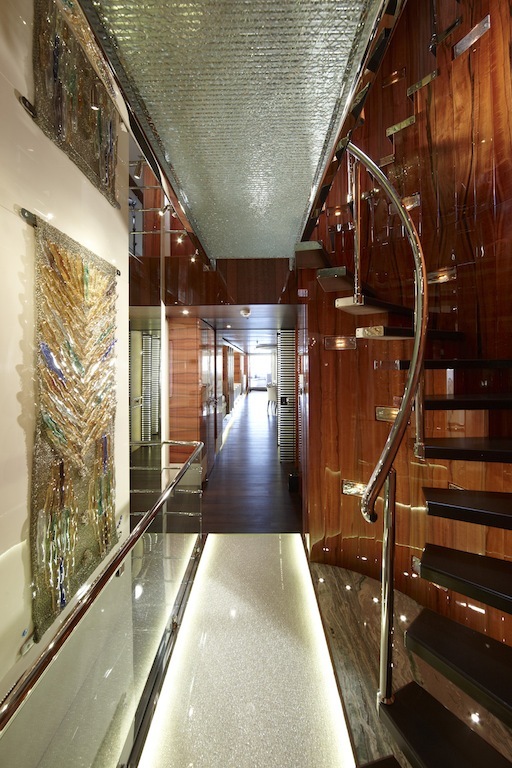 This staircase divided by a glass bridges gives on the main deck access to the owner’s suite forward and aft it will bring you to the salon with the dining area. The glass bridge on the upper deck gives access to a panorama salon forward and aft the guest suites with the possibility to go outdoor directly from the suite. 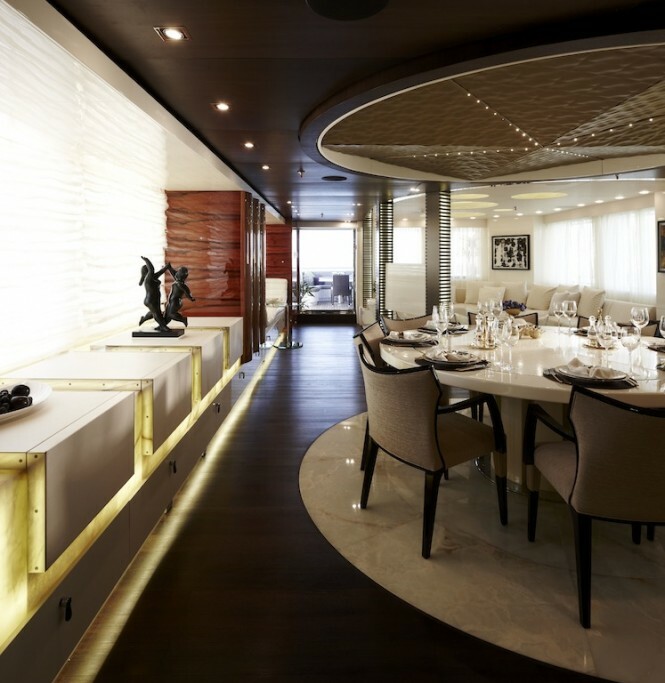 It was our task to design an interior for private use as well for charter purpose in an elegant cosy contemporary style. For the veneers in general we used an Indian Apple all in a high gloss finish and combined with off white tones in leathers, paint and onyx with here and there some gold accents. We try to make each Art-Line interior offer clients wide choices in styling each individualised space. 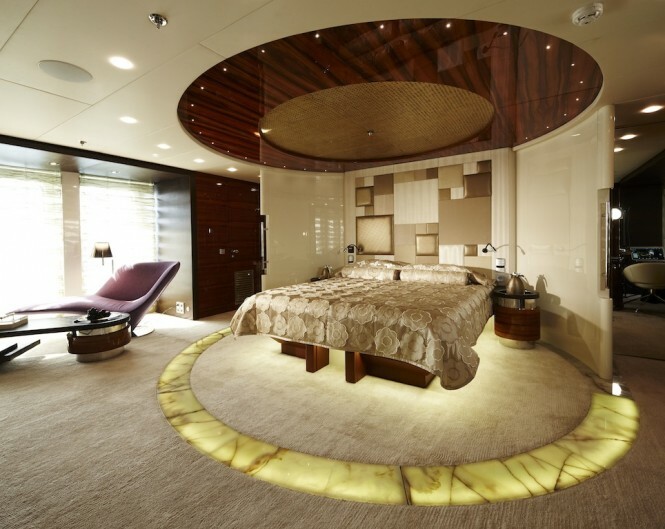 Please contact CharterWorld - the luxury yacht charter specialist - for more on superyacht news item "Expedition Charter Yacht E & E (ex Jasmin II) – Comments from Art-Line Interior Design".